Your personal Job Placement Advisor (JPA) will suggest destinations that fit your skill set and provide you with the information you need to decide which country is right for you based on your qualifications and interests.With the help of your JPA, you will develop a good understanding of potential ESL markets around the globe and where there is a high demand for ESL teachers. Each country has its own minimum requirements to teach. As you narrow down your choices to a few select countries just remember that being open-minded will give you more options to choose from. We assist you in developing an ESL-specific resume and cover letter. These are necessary for applying to any school overseas, and offer a crucial first impression of you. It is important to write a resume that shows employers why you are the best candidate for the position. As a course graduate, you will have access to our resume and cover letter creator tool to help ensure your application is tailored to the international ESL job market. We connect you with our trusted network of schools and help you find the most rewarding teaching jobs at ESL schools around the world. We work with language schools worldwide that are searching for certified ESL teachers. Many Oxford Seminars students who begin their job search during the course receive interviews and offers for full-time teaching positions before the course is over. As you begin to hear back from schools and recruiters, your Job Placement Advisor will help you prepare for your upcoming interviews. Typically, interviews are conducted with a school’s director via telephone or over Skype. The interview gives you the opportunity to prove you are a native or fluent English speaker and showcase the skills that make you right for the position. Practice before the interview so you have time to think about the types of answers you would like to give. See the tips listed below for a sample of the assistance your JPA will provide. Make it clear throughout the interview that you are excited about the prospect of teaching English abroad. For a Skype interview, ensure you are dressed professionally and present yourself in a positive manner: sit up straight, don’t fiddle with anything, and look the interviewer in the eye. 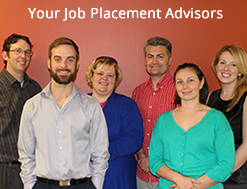 Your Job Placement Advisor will give you additional interview tips and answer any questions you may have about this process. Once interviews have been conducted, you will begin to receive job offers along with proposed contracts. As exciting as it is to receive a job offer, your Job Placement Advisor will be on hand to give you feedback and recommendations prior to signing your contract. Proper time and effort must be spent reviewing a contract before it’s signed. Read over your contract thoroughly. Ask questions to ensure that you are clear on every aspect of the contract. If this is your first teaching position, make sure you know what the standard of pay is for that particular country. It is important to keep in mind that you should only negotiate items on which you are not willing to compromise. If you appear too demanding, your application could be set aside in favor of another candidate. From obtaining a work visa, to having a valid passport, to packing and medical considerations, your Job Placement Advisor will help to ensure you have thought about everything before you leave. This list includes reminders for preparing your documents; including obtaining a work visa, organizing and copying your documentation and gathering your families contact information and giving them yours. This is a section where you can read about getting the best price for airline tickets, flight restrictions, and luggage tags. You will learn about medical considerations in this section and ensure you have the appropriate vaccinations required for the country in which you are traveling. Financial reminders are also included in this list. You will want to ensure you have organized your finances prior to your departure. You will also want to consider getting a criminal record check before you leave. It is also a good idea to spend time researching the laws and customs in the country in which you plan to travel. Review this comprehensive list to ensure you have everything you need before you leave. You should be well informed about safety while teaching and traveling abroad. Our travel safety page will provide you with useful suggestions and resources. Make your first week a success by following the tips that our Job Placement Advisors have collected from their experiences teaching abroad.